← Wrapping up our first event. I want to apologize for being absent from the website for a while. I wanted to take the time to update you on what’s been going on with Ravenous. Since our last update, our Coffee Milk Stout has been pouring regularly at various locations throughout Rhode Island. If you check the “Find Ravenous on Tap” section of this website you will be able to find the locations where Coffee Milk Stout has been pouring. We have participated in a few beer events since our last posting. We attended a beer tasting event at the Elks Lodge in Woonsocket, RI. We also participated in our first beer festival, RI Brewfest, in Pawtucket, RI and we poured beer at a fundraiser at the Adams Memorial public library in Central Falls, RI and at the Rhode Island flower show at the Providence Convention Center. Craft beer in Rhode Island has had amazing few couple of months. 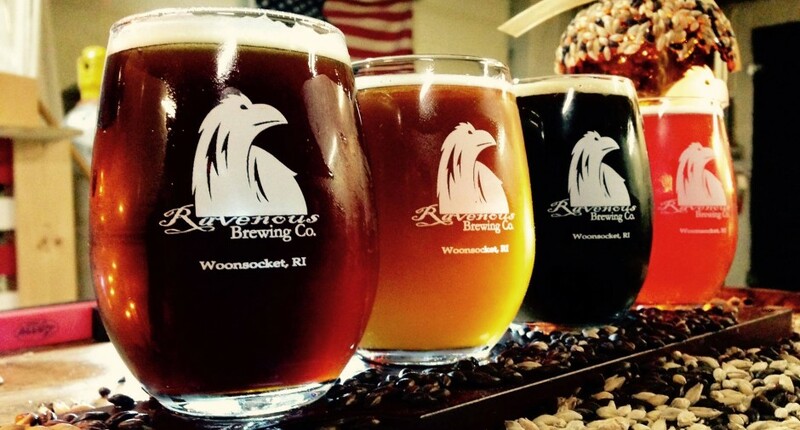 With articles highlighting the Rhode Island craft beer scene in numerous publications, an awareness has increased and people are learning that local craft beer does exist in RI and that the beer is outstanding. As we move forward, we will continue to focus on quality and on our local area. We totally appreciate all the folks who have given us a chance and chose to put Ravenous on their tap selections. Spring will be upon us shortly, and we are very excited to release our Blackstone Pale Ale, a clean med bodies American Pale Ale made with a dose of Rye and hopped with Columbus and Cascade. The Blackstone PA was released a few week ago and will start appearing more frequently on taps near you. Stay tuned for more information or Follow us on Facebook or Twitter for shortly, but more frequent updates.